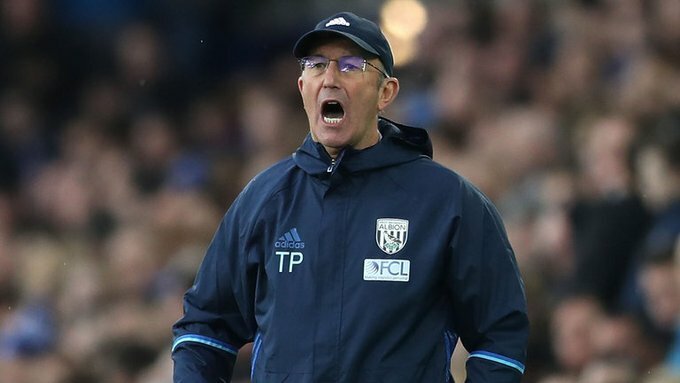 Tony Pulis has been sacked as West Brom manager with the club a point above the Premier League relegation zone and without a win in 10 top-flight games. The Baggies lost 4-0 at home by Chelsea on Saturday. West Brom won their first three games of the campaign, but have not won since 22 August, when they beat League Two Accrington 3-1 in the Carabao Cup. Since then, they have drawn four and lost seven, and Pulis had said he would not be surprised if he was dismissed. West Brom travel to face Tottenham in the league at Wembley on Saturday. Pulis, who has also managed Stoke City and Crystal Palace in the Premier League, was named Baggies boss in January 2015. They were 17th in the table when he took charge but finished that campaign in 13th, falling a place the following season before ending the next in 10th. However, they have struggled since March, taking just 12 points from their past 21 fixtures, winning one home league game in eight months and scoring only nine goals in 12 Premier League matches this season. He is the fifth manager to be sacked by an English top-flight club since August.